Centerpieces are a rather large detail to add to any table at a wedding. When overlooked or forgotten, it is obvious that something is missing. However, when overthought they can be overwhelming or overpower the table, so there is apparently a happy medium to centerpieces. 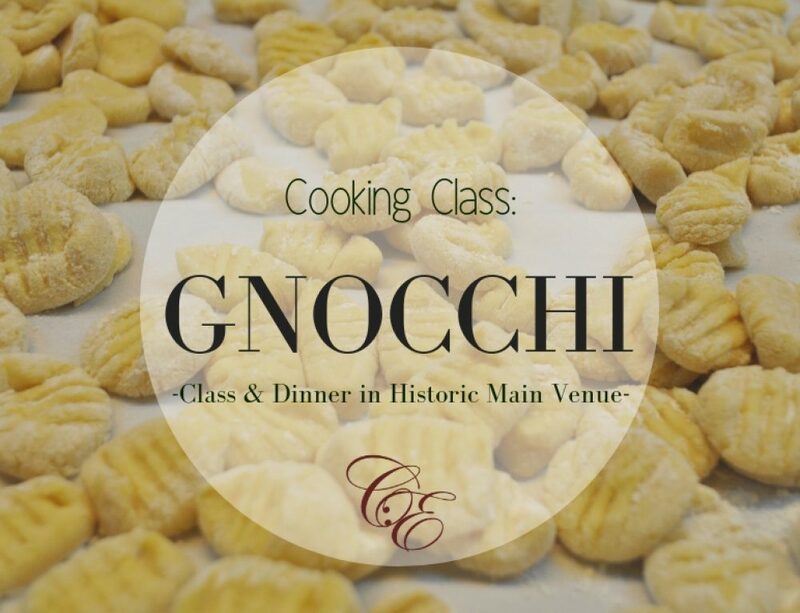 We have so much to offer at Commellini Estate when it comes to helping you create and design your centerpieces. 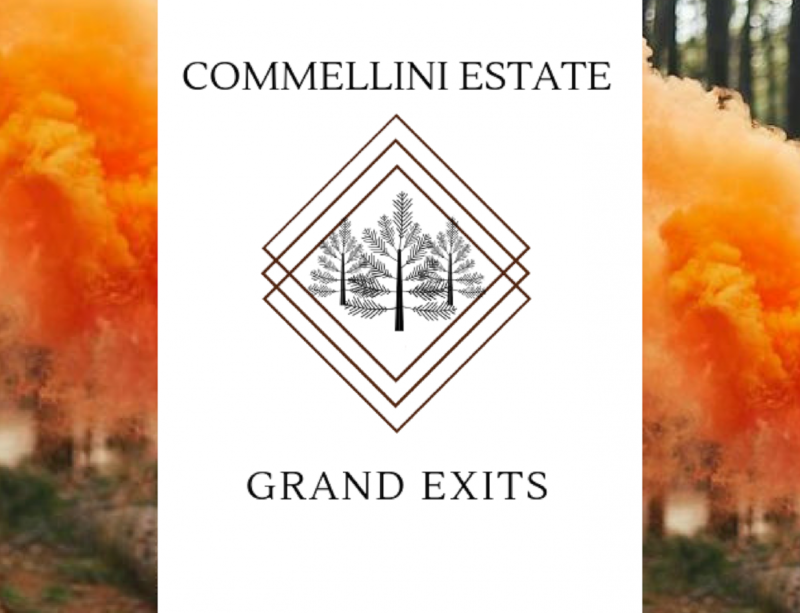 Commellini Estate tries to be as all-inclusive as possible and includes over 30 different centerpieces in every package. 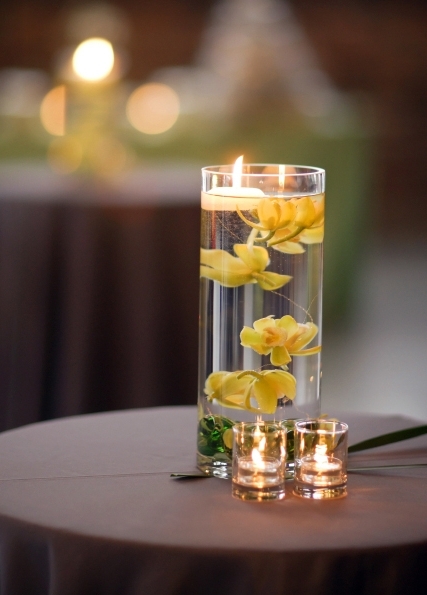 One of our favorite options is the simple, yet versatile glass cylinder centerpieces. 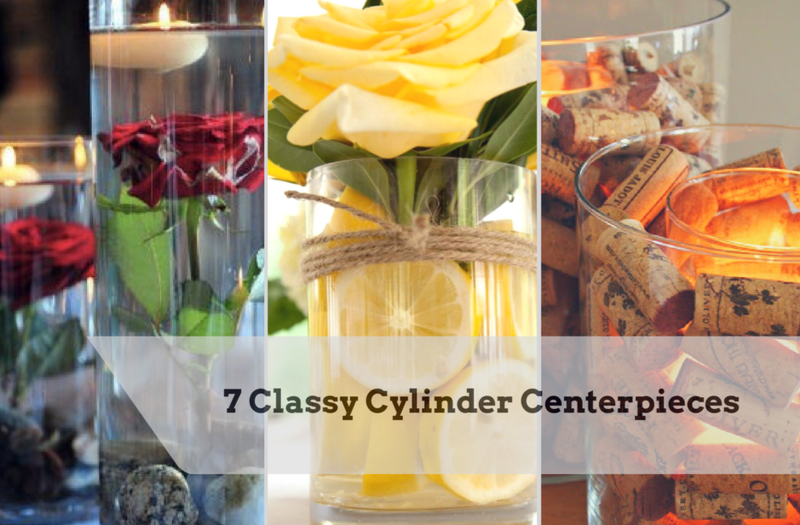 Here are seven different ways to use the 24 inch cylinder centerpieces to make incredibly easy, beautiful tablescapes. This look is perfect for a nature-inspired wedding, maybe a rustic theme, or sophisticated woodland outdoor wedding. If you are having your ceremony outdoors in a woodland area, and an indoor reception, this would be a great way to pull the same atmosphere of the ceremony into your reception. 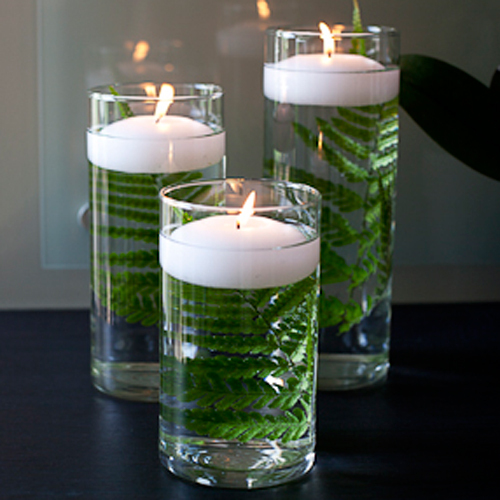 All that is needed to create this look is cylinder centerpieces filled most of the way with water, a fern leaf and a floating candle. Simply curve the fern frond to move with the inside curve of the cylinder, and trim from the base of the stem if necessary. Just these three products put together make a very elegant centerpiece. 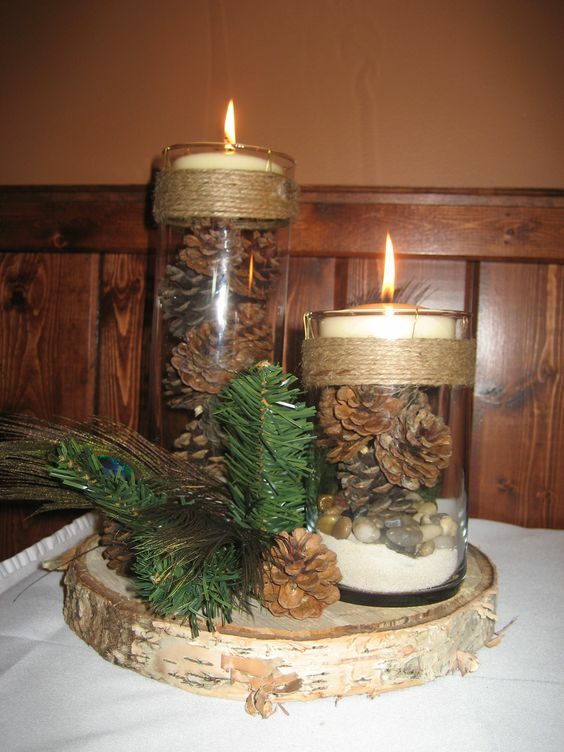 Utilizing pinecones is a great look for a late fall or early winter or even a holiday wedding. Stack a cylinder with pinecones and add a ribbon or string tied around the outside. The ribbon or string should accent the theme or colors of your wedding; if it is a rustic late November ceremony maybe a burlap ribbon or thick twine. If you are having a winter wonderland wedding, consider spraying the pinecones with a light dusting of fake snow and using a sparkly ribbon on the outside. Additions and adjustments are seemingly endless for this centerpiece, and pinecones seem to be available in almost every yard in our area of the Pacific Northwest. 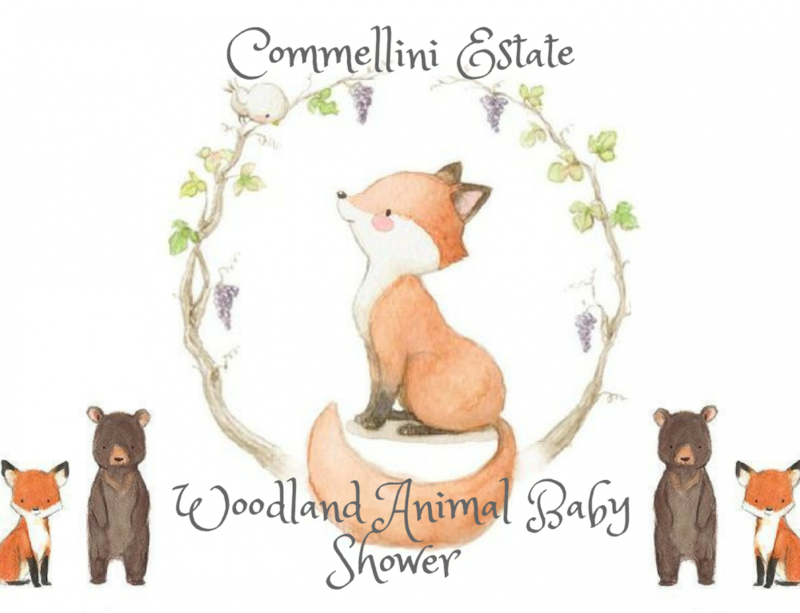 If your yard does not have any, Commellini Estate does have some plain pinecones available for use along with the cylinder centerpieces to help create the perfect table feature. 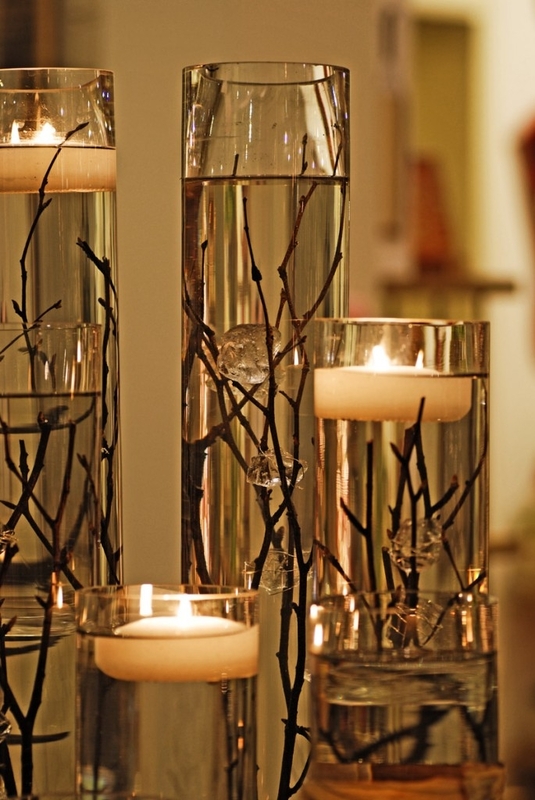 A great centerpiece option for any rustic wedding would be just the use of simple twigs in water with a floating candle. 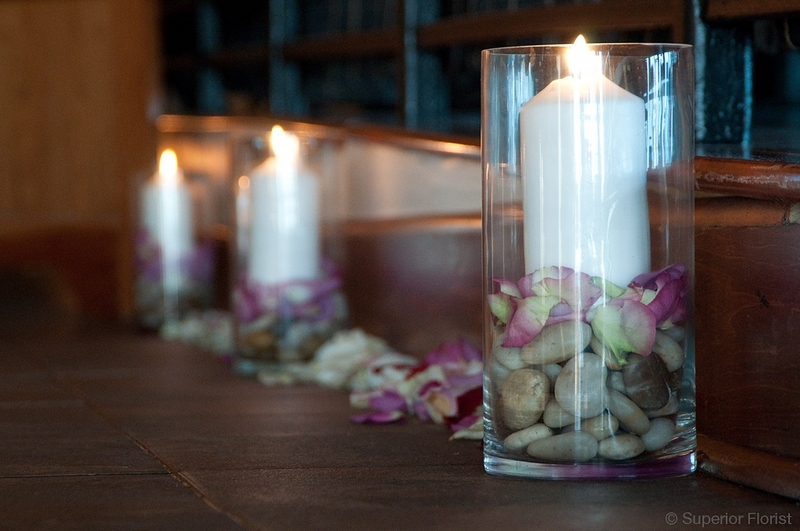 This is simple, though it can be quite elegant with the candles and dimmed lights in the room. A suggestion would be to use the two foot tall cylinder centerpieces, however this option could look even more complete if paired with three different heights of cylinders, even if the shortest one holds only a nice candle. Submerged flowers are currently a very fashionable trend for centerpieces. Submerging roses, specifically, gives me a Beauty and the Beast vibe and going with that use one single cylinder containing two roses with the blooms positioned at different heights. For this complete look, marbles or pebbles or fake jewels are needed for the bottom filler. The bottoms of the stems should be covered by the bottom filler. After these steps, fill with water and top with a floating candle. Place the cylinder on top of a round centerpiece mirror on the table. This is adaptable for other types of flowers too. You can separate the blooms completely from the stems and thread a few together using a thin, clear string, like fishing line, and leaving space between each bloom. Add a bottom filler and a weight to the end of the string. Another option is to choose a colorful flower and pull apart all the flower petals and pack the water full of petals. Another up and coming trend is using fruit in the centerpiece, particularly slices of fruit. Fruit has always been a common centerpiece item for many family dinner tables. Seeing this trend emerge into weddings is rather refreshing. 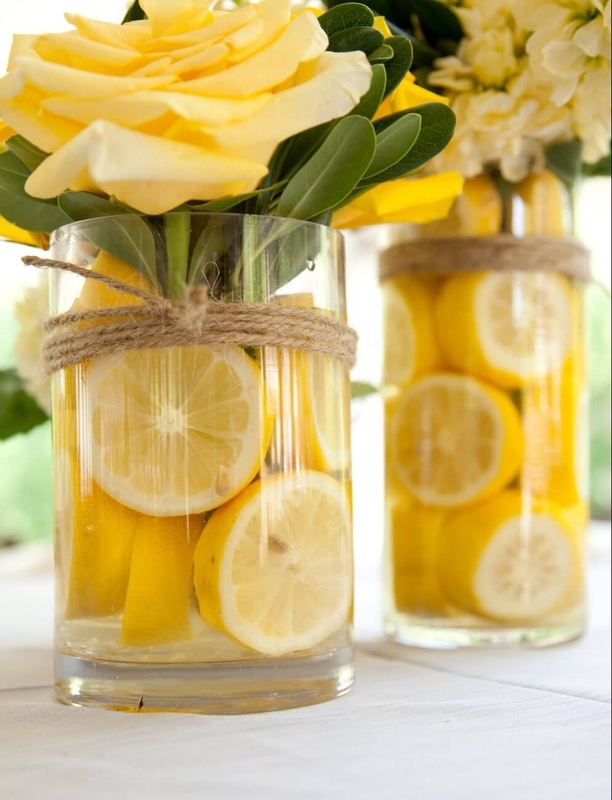 Using limes or lemons, sliced or whole, is perfect for a spring or summer wedding with corresponding wedding colors. Slices of kiwi, orange, grapefruit, key, and whole pears have been tagging along with this trend. 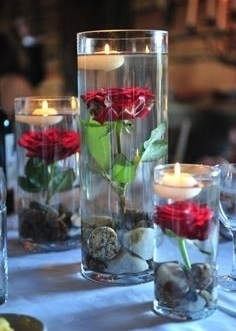 This can be done two ways if you have the right cylinder centerpieces available. Often suggested is to place a smaller vase inside the cylinder to be used just for the small bouquet of flowers with water. Then add the slices of fruit desired in the gap between. The other way is to omit the smaller vase, just stack and layer the slices carefully before adding the bouquet and then water last. Tie ribbon or string around the cylinder to complete the look. This is even versatile and looks rustic in mason jars, but rather chic in the cylinders. A nice, cool evening summer wedding would have the perfect atmosphere for this option. Use a large pebble or small stone as the bottom filler and sprinkle some wedding-color flower petals on top. A large pillar candle in the middle can be battery operated or real flame and, depending on the height of the cylinder, it could be sitting on the bottom with rocks added around it, or add a steady candle holder to the center it to make it even taller. This centerpiece look creates a very relaxed and inviting atmosphere. Another great simple summer wedding option, also perfect for any wine-lovers, is using wine corks and two cylinder centerpieces. 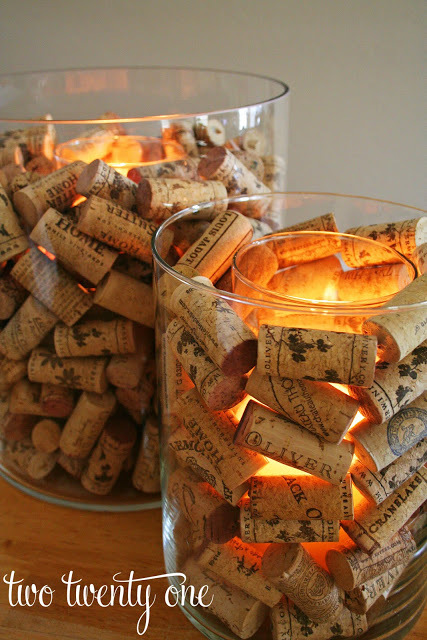 Place a smaller cylinder inside of a larger one and fill the space between them with wine corks. Place a candle (either battery or real flame) inside the smaller cylinder. This could then be set up either on a round centerpiece mirror or something like the wood slabs we have at Commellini Estate. 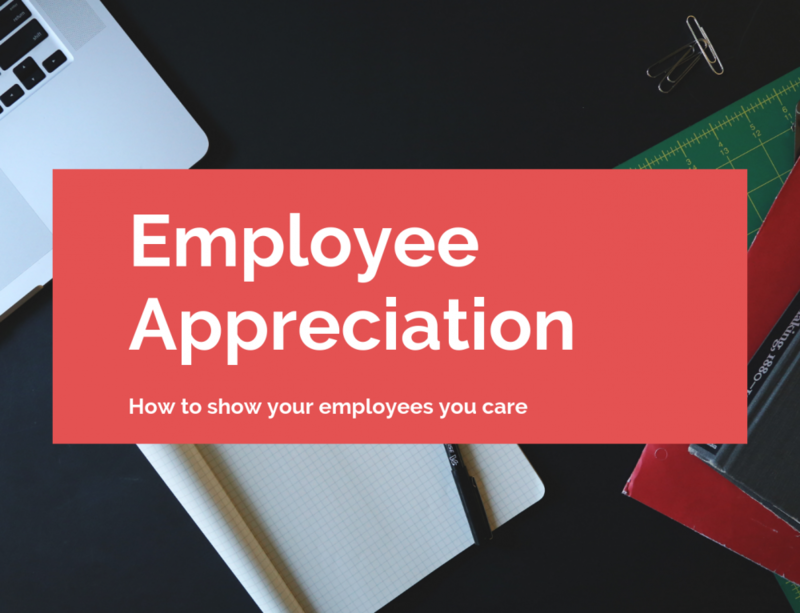 Both of these options give the centerpiece a very different feel, which makes it versatile for different themes. Many of the cylinder centerpiece samples described are so versatile you can use these examples as inspiration and add your personal touch to any of them. The options are endless with what you may want to add to it. 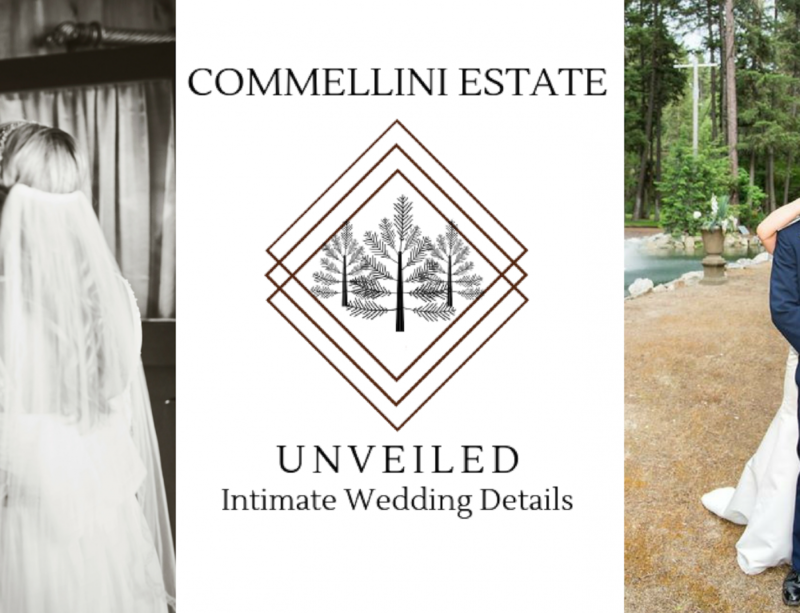 Commellini Estate offers the cylinders along with several options for bottom fillers like marbles, pebbles, rocks, fake jewels and wine corks for use in your wedding. We also have a stock of pinecones and battery operated candles. Just add your own flowers, twigs, fern fronds or fruit and we could pull together whatever catches your and your fiance’s eye.